It might be time for Comcast to throw in the towel. By appealing the AT&T-Time Warner decision, the Justice Department complicated the company's chance to buy most of 21st Century Fox (FOXA). Comcast (CMCSA) has been in a bidding war with Disney (DIS) over Fox, which is selling its movie studio, international assets and cable channels like FX and National Geographic. Disney regained the upper hand when it increased its offer a few weeks ago to $71.3 billion, and analysts have been speculating about whether Comcast would try to top that bid. But it's getting harder for that to happen. Comcast's prospects were already called into question when US antitrust authorities approved Disney's bid for Fox last month, since Comcast hasn't yet received the same blessing. 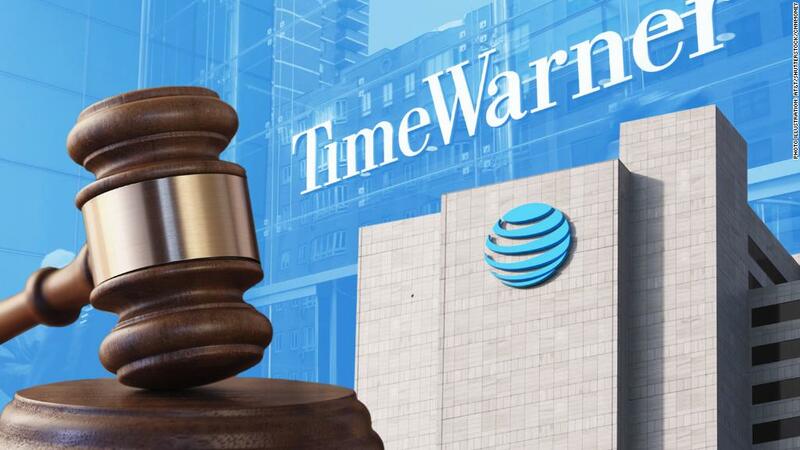 And the government's appeal in the AT&T-Time Warner case could deal a death blow to Comcast's Fox bid because that merger would in many ways look similar to AT&T's purchase of Time Warner. Like AT&T (T), Comcast is a content distributor trying to buy a content creator, and it has similar size and ability to wield significant power in negotiations with other pay-TV operators. One concern in the AT&T case was whether the telecom company could drive up costs for competitors who want to broadcast channels like CNN, TNT and TBS, which were all Time Warner properties. Disney, a content creator, doesn't own any pipes. In an interview with CNBC on Friday, AT&T CEO Randall Stephenson agreed that Comcast was in a tough spot. "It probably can't help it," he said of Comcast's ability to make another run at Fox. "You're in a situation where two entities are bidding for an asset, and this kind of action can obviously influence the outcome of those actions." The fear of a regulatory challenge is part of what made major Fox investors nervous when the company was in talks with Comcast about a takeover late last year. "This is a clear gift to Disney," analysts at the MoffettNathanson research firm wrote in a blog post Thursday. "We've argued all along that Fox's board has been looking for a justifiable reason to choose Disney over Comcast." The analysts said the AT&T appeal seems to be the "final nail in the coffin for Comcast's Fox chase." Comcast did not immediately respond to a request for comment. When CNNMoney asked Disney CEO Bob Iger on Thursday about what the ruling might mean, he said he didn't yet have an opinion. Comcast's hopes for expansion haven't been completely dashed. The company is still trying to gain control of the European broadcaster Sky, which is a leader in pay TV in the United Kingdom and other markets including Germany and Italy. Comcast is fighting over that company with Fox, which already owns 39% of Sky and has agreed to sell its stake to a third party such as Disney. When Comcast raised its bid to £26 billion this week (about $34 billion), Sky's independent board committee recommended that shareholders accept that offer. There's at least one clear winner in all of the drama: Fox Chairman Rupert Murdoch. President Donald Trump's confidant benefits from the bidding war, which has driven up the value of his company's sale by more than $15 billion. --CNNMoney's Dylan Byers, Hadas Gold and Brian Stelter contributed to this report.